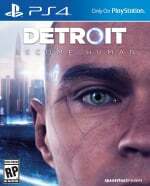 While so many interactive dramas cheat, Detroit: Become Human is the most adaptable narrative ever conceived. Lead characters can die in the opening hours of the story, and that’s the last you’ll see of them for the remainder of the campaign. The robotic revolution plotline can be a bit heavy-handed, but as with all Quantic Dream games, there are some real high-points that will stick with you long after the credits roll. It’s the way that Gone Home subverts expectations that makes it such an iconic piece of interactive fiction. Pitched as a kind of horror game, it uses environmental story-telling to flesh out the lives of its slim cast of characters. But the game plays with your emotions right the way through to its euphoric conclusion, teasing you with an unfortunate outcome that never quite happens – and hitting you with a joyous sucker punch that will leave you blubbing. 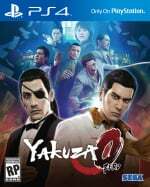 Stretching a story across multiple protagonists can sometimes be enough to fracture and disjoint an otherwise intriguing narrative, but Yakuza 0 pulls it off masterfully. Regularly switching between two leads in Kiryu and Majima, the plot constantly keeps you on your toes with some superb twists. And as is always the case with SEGA's seedy series, an incredibly strong cast of characters bolster the experience further. 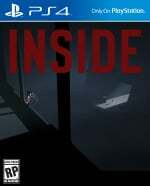 There are plenty of theories attempt to make sense of Inside’s story, but we like to believe it’s interpretative art, and the true meaning will differ depending on the player. This is a very dark, very thought-provoking experience, with some extremely smart puzzles and a haunting aesthetic. It’s one of the shorter games on this list, but that doesn’t make it any less essential. 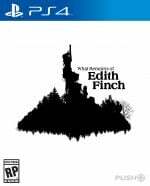 What Remains of Edith Finch is up there with the best in the maligned 'walking simulator' genre of narrative based adventures. Featuring several vignettes focusing on the deaths in the unfortunate Finch family, the variety in storytelling techniques is dialed up to 11. It's all held together by an absurdly well-realised house environment that creaks with character, and is a narrative tool all on its own. The melancholy story packs a real punch, and is more than worthy of a place in our list.